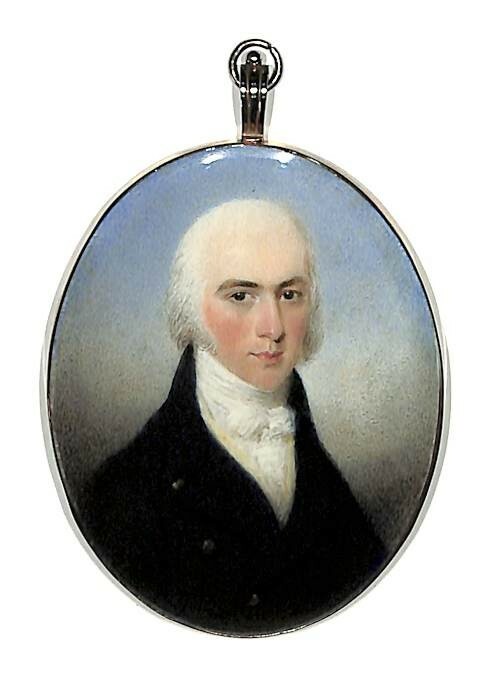 This is a well-painted portrait of a confident-looking gentleman with greying hair brushed back off his forehead. He is wearing a double-breasted dark coat with a high collar, wide revers and brass buttons over a lemon waistcoat and a white knotted cravat. The style of dress dates the portrait to around 1810. 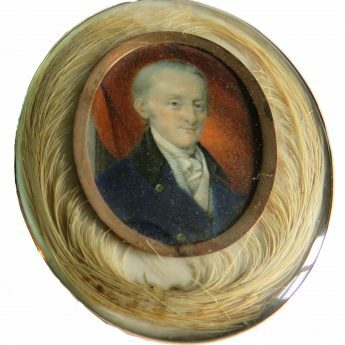 Watercolour on ivory set in a gilt-metal frame enclosed on the reverse. The son of a Liverpool draper, Thomas Hargreaves (1774-1846) began painting whilst still a teenager and became an assistant to Sir Thomas Lawrence whose work influenced his style. He worked mostly in his native city.